Product #55613 | SKU SF8-M-UPG-V4 | 0.0 (no ratings yet) Thanks for your rating! 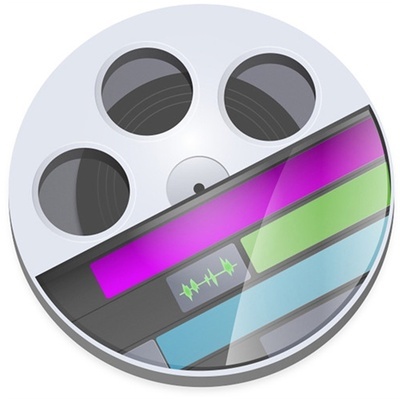 ScreenFlow 8 is a easy to use video editing, screen recording and sharing tool from Telestream. With Screenflow 8 you can capture the highest quality screen recordings, adjust and revise your video using the easy-to-use editing interface and create high quality software or iPhone demos, professional video tutorials, dynamic presentations, corporate training. Stock Media Library - Gain access to an always growing library of well over 500,000 images, audio, video clips and more with ScreenFlow’s new built in Stock Media Library. Browse the library and add transitions, motion backgrounds, royalty-free backing tracks and more simply by dragging them to your timeline from the Stock Media Library tab! (Additional Fee). Track Thumbnails - Now you can see a quick and easy visual representation of your content via thumbnails displayed over the duration of a media file. Easily identify scene changes and areas of interest. No need to scrub through content to find specific moments! Styles - Always want your camera in a certain spot with specific filters and a drop shadow? Well, regardless of the edits you make to any assets in your projects, you can now save those settings as “Styles” to easily re-use over and over. A massive time saver. Combine with templates for a mostly automated workflow! Templates - If you make multiple videos with a similar format, ScreenFlow’s new Templates feature will save a ton of time! Simply create the template using placeholders for your camera, screen, or iOS recording, then add any other recurring media. Now when you finish recording, all your assets are already placed in the correct spot in the timeline and canvas! Combine with Styles applied to your placeholders for a mostly automated workflow! Quick Narration & Voice-Over Additions - Need to record a quick audio clip? Quick narrations allow you to add narrations or voice-overs without leaving the timeline or configuring a traditional recording. Detachable Editing Timeline - The new detachable editing timeline allows for a more customizable editing experience and enables multi-monitor editing by separating the editing timeline and canvas on to different monitors. Additional Timeline Frame Rates - Additional Timeline Frame Rates of 24, 25, and 50 have been added. These are in addition to the existing 30 and 60 options. Export Animated PNG (APNG) Files - ScreenFlow now supports APNG export. Like GIF’s, APNG’s are single file moving pictures that support transparent backgrounds but allow for higher quality and smaller sizes! Freehand Annotation - Custom shapes and lines can now be drawn directly onto the ScreenFlow canvas for highly customizable annotations. Instagram Project and Export Presets - Uploading to Instagram? ScreenFlow has you covered with built in project dimensions and export settings specific to everyone’s favorite social image site! Frame for Selected Monitor – When choosing your recording monitor, a red frame now indicates the current selection…no need to remember monitor model numbers! H.265/HEVC Decoding - Previously, HEVC could only be exported in ScreenFlow 7. You can now import and edit files encoded with HEVC such as iPhone X 4k recordings. Arrange Menu - Various new options such as alignment, scale, and distribute allow you to more quickly arrange your media within your project. Auto-Scale Large Imports – ScreenFlow will now automatically scale imported media to fit the canvas if the dimensions of the media are larger than the canvas. Burn in Captions on Export - You can now burn-in captions if you need captions in a player that does not support caption tracks. Simply check the box during export. Keyboard Shortcuts for "Close Gap" - Users can now set a custom keyboard shortcut for the “close gaps” function. Multi-select gaps and close with one shortcut. Media Library Filtering System & Metadata Panel - New filtering system for the media libraries with metadata display tab. Click the filter button in the library pane to display. Preview Audio and Video in Libraries Without Adding them to the Timeline - Audio and video files in libraries can now be previewed without first adding them to the timeline. Save Frame as JPEG - Quickly export the current content as a still JPEG image. Select Which Audio Channels are Recorded with Audio Interface Devices - Users can now select specific channels to record of a multi-channel audio interface. You no longer need to record all available channels. Support Decoding MOV PNG Files - You can now add and work with MOV PNG files in ScreenFlow. Support for GoPro CineForm Codec - ScreenFlow now supports the GoPro CineForm codec for import and editing. Specify the Thumbnail Image for a YouTube Published Export - Now when publishing directly to YouTube, you can use ScreenFlow to select the image to be used as the YouTube thumbnail. Upload to YouTube on a Schedule - When publishing to YouTube, you can now select and schedule a time in which you would like the video to be published.